On June 25, 2016, the day before the one year anniversary of the erroneous and unjust Supreme Court decision in Obergefell v. Hodges, a rally and March for Marriage will be held in Washington, D.C. The event is meant to highlight the importance of the unique meaning of marriage to society and the importance of mothers and fathers for children. Participants will be gathering at the reflecting pool in front of the Capitol building around 11:30 a.m. for the program, and the march to the Supreme Court will begin at 1:00 p.m. Please consider joining the March for Marriage 2016 to witness to the continued importance of authentic marriage! 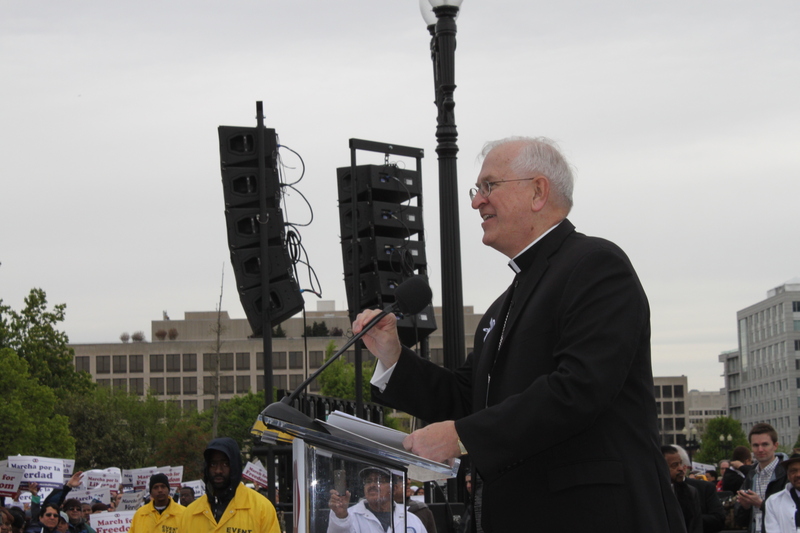 Thanks to everyone who came out to the March for Marriage on Saturday! It was a great turnout, and a prayerful, peaceful witness to the truth about marriage. The Archdiocese of Washington is holding a Mass for Marriage at 10:30 a.m. at St. Dominic on Saturday, April 25 before the March for Marriage. Please attend if you can!